It seems that the sell side is moving toward first price auction to determine the price the buyers will pay for the impressions in the RTB auction. What does it mean for the industry? In the ad exchange, in the openRTB protocol, sellers (publishers) give their inventory to monetize to the best offer they get from buyers (brands and trading desks). Publishers can use the SSP and determine the winning price buyers will pay. Conventionally the winning price is determined by the second highest price in the auction + 1 cent. Today, second highest price + 1 cent may retire due to a wide spreading move towards first price auction, that may completely replace the old way to determine the price of an impression in RTB. With first price auction the higher price wins and pays the actual bid. Let’s say that for an impression Buyer A bids 50$ and Buyer B bids 2$. Instead of 2,01$, Buyer A pays 50$. This could open the opportunities to better monetize the publishers’ inventory, that saw a decrease in their margins due to the tech fees and cost of middlemen. However, it is not a secrete that most of the publishers cannot benefit from all the evolutions of programmatic. A yield manager, could argue to have the solution for all the above. Sell side: thrive or survive? Publishers found challenges when facing programmatic and needed solutions. They saw their margins getting smaller and proved to be more conservative on traditional selling methods than buyers. Yield managers and engineers found the header bidding a solution to part of the problems. Header bidding consist of putting in competition the best prices SSPs can offer before the actual impression is fired. 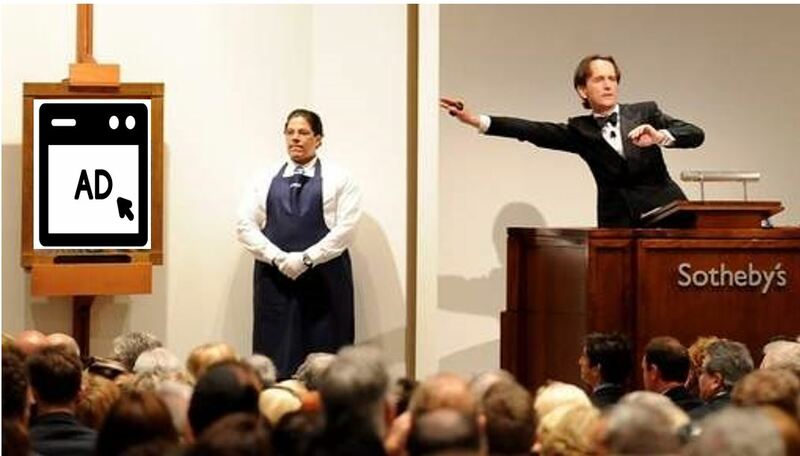 It means that for each impression served, there is a pre-bid that make all the SSPs compete with each other proposing the best price of their auction. It is clear that a second highest price + 1 cent model is not beneficial to the aim of header bidding, so ad tech started to produce features to determine first price to ensure the highest price is paid for every single actual impression fired and maybe could compete with a direct sold deal. Giving actual value to each impression: if Buyer A is willing to pay 50$ for the ad slot, it means that his DSP valued that impression so high, why giving him at the second highest price? First price auction is already well known to experienced yield managers, however not all ad exchanges (SSPs) are supporting this kind of auction dynamic. Currently, more and more SSPs are adopting the trend. According to the AdExchanger article, Index Exchange, OpenX and Appnexus lead this adoption and so all the publishers using their technology. Rubicon Project and Pubmatic are following the trend, testing and building features around first price auctioning ready for 2018, while Google Ad Exchange keeps aways for the moment, however it seems that first price auction is really taking the leap. Even though first price auction might find disappointment between buyers, DSPs will be forced to adapt, because it seems that publishers like it a lot. I worked for more than 3 years in the sell side, from my perspective, first price auction is a natural evolution of the SSP rules that we were implementing at the early stages of programmatic advertising. For example, from a winning price, we were increasing a percentage of the price the winning buyer that needed to pay in addition to the second price + 1 cent. But while at the beginning those were “hidden fees”, the market today requires more and more price transparency. Transparency is mainly passing via the technological evolution of DSPs. For example, since 2011 Criteo bidder was able to detect and bid in ad exchanges with diverse auction dynamics different than the second highest price + 1 cent. There is no surprise Criteo today can benefit already the shift toward first price auction. Some DSPs may have more difficulties in adoption, because their strategy focused on improving the algorithm to get better conversion results, to reach the target more precisely or to spread the bids during the optimal time of the day. Google DBM seems not to take this trend so seriously, but maybe they will release something both from buy and sell side as well in response to this. On the buyer side, in reply to the header bidding and first price auction there is the so called SPO, supply path optimization, which consists in scouting in pre-bid the ideal impression and actually buying it if it meets requirements and match price the buyer is willing to pay. Some agencies, for example Adlantic and Affiperf, have tried to build meta-DSPs, which consists in a dashboard that connects APIs of different DSPs and performs ad mediation. However, sometimes the cost of optimization might be higher than the actual bid price in one single DSP, considering also latency and discrepancies in reports. If you are a brand, all the time I say programmatic advertising is the automation of processes that make you pay the right price for the right impression, so do not think it as a discount trading and prepare to spend the same budget you were spending for direct deals, in change of more efficiency. Maybe in the soon future there will be standard of the auction dynamics, this would be the ideal solution to bring balance in the ad tech market and let bot buyers and sellers satisfied of their ad trades.